We accept payment through PayPal as it is safest mode of payment. 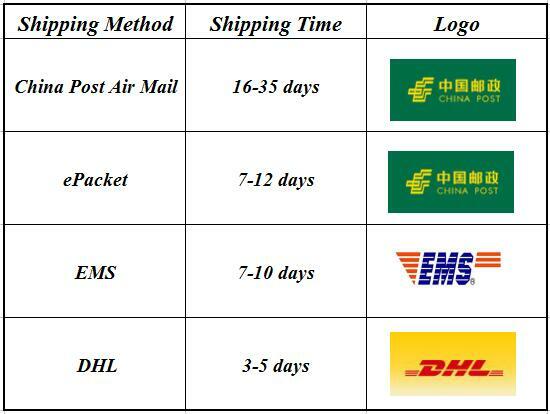 We ship item within 3-4 working days after receiving payment through PayPal.Items will be shipped by China Post Air Mail,ePacket,EMS and DHL.The tracking number will be provided once goods shipped. Import duties, taxes and charges are not included in the item price or shipping charges. These charges are the buyer's responsibility. Please check with your country's customs to determine what these additional costs will prior to buying.